Clay sewer pipes get infested with roots and once they are in it is very difficult to keep them out. Roots are the leading cause of clogged drains recurrence, they will not stop growing even if you cut down the tree, or if you cut them, they eventually grow back. The reason they grow back can be a phenomenon know as hydroponics. We have the best solutions for the roots problems. The Rooter Drain Expert has been the Universal City Plumbers for many years and we are committed to give the best customer service so you can be our next happy customer. 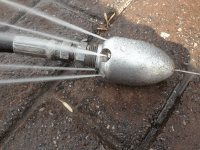 We are drain cleaning experts and we will clear the toughest clogs, roots, grease, hair, our any other mass blocking your pipes is not match for our industrial Snake Machine, and our Hydro Jetter. We have the solution to any of your plumbing services needs, from drain cleaning to preventive camera inspections and trench-less pipe replacement. 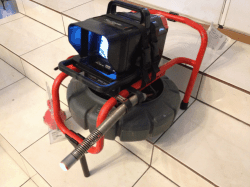 Preventive Camera Inspections are the best tools to avoid having to do expensive repairs in the future, we have the best cameras in the business and you can see whatever is inside your sewer line. you can call 818.582.8562 us or schedule an appointment. To learn more about Universal City and its people and culture you can visit Wikipedia Universal City online.